They had set up a youtube.com channel the day before, that was now taken down. Department of Homeland Security Secretary Janet Napolitano told ABC's Jake Tapper this morning that authorities had not found any evidence that the bomb scare in New York City on Saturday May 1 was part of a larger plot. 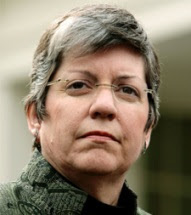 "We have no evidence right now that this is anything other than a one off," said Napolitano.